Designed with the outdoors man in mind. The detalied camouflage pattern on the frame were designed to blend in perfectly with the woodline. Camo sunglasses frame adds a bit of extra color for more leafy environments. 100% UV protection polarized lens. 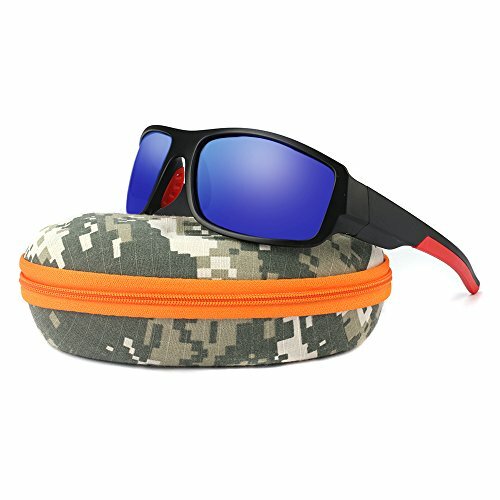 EXCELLENT PACKAGE:The JIANGTUN package includes Camouflage hard case,soft bag,sunglasses cleaning cloth and polarized test card.It's the great gift idea. 30 DAY MONEY BACK GUARANTEE-All JIANGTUN customers enjoy 30 Day Money Back Guarantee. Customers can return and get refunded in case the purchasing is not satisfactory for any reason. You have no risk to try.